Closing meeting of second phase of the project “Transboudary Joint Secretariat for Nature Conservation in the Southern Caucasus” was organized In Tbilisi. 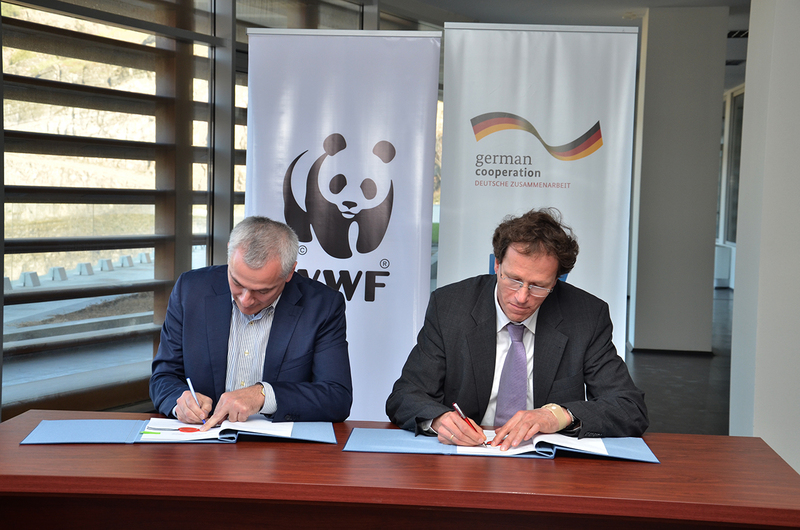 On 26th of March, 2015 the closing meeting of second phase of the project “Transboudary Joint Secretariat for Nature Conservation in the Southern Caucasus” financed the German Bilateral Financial Cooperation (German Federal Ministry for Economic Cooperation and Development - BMZ), through KfW development Bank was organized In Tbilisi. Purpose of the meeting was to inform the stakeholders on the final results of the project. The representatives of KfW and other donor organizations attended the meeting and the members of governmental bodies and NGOs of Georgia, Armenia and Azerbaijan participated in the meeting. Main purposes of a second phase have been the harmonized development of environmental protection sector; with the purpose of proper implementation of a sectorial policy elaboration and improvement of operational mechanisms and promotion of sustainable funding of the Protected Areas of Georgia, Armenia and Azerbaijan has been essential. 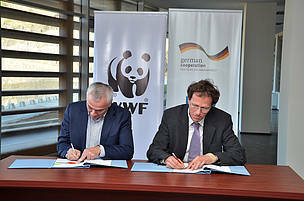 The grant agreement on initiation of the third phase was signed at the meeting in consequence of which the project will be implemented by WWF Caucasus Programme Office within a period of five years. The grant sum for southern Caucasus amounts to 5 million Euro. 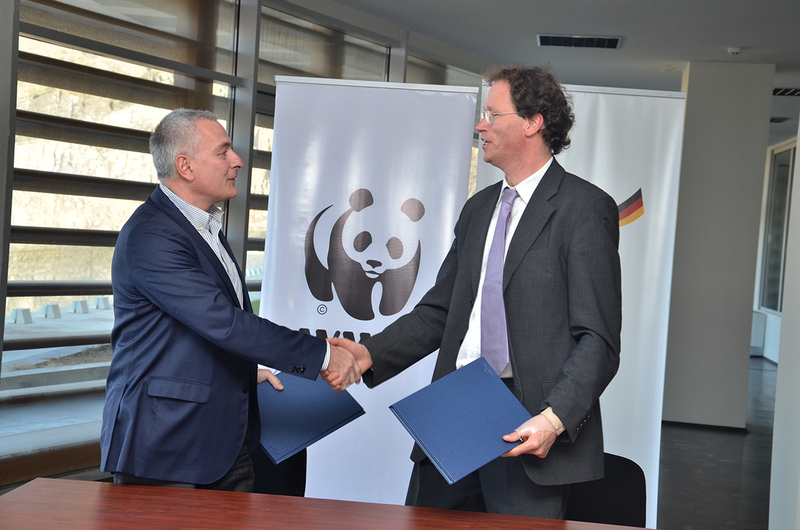 TJS facilitates to the Ministries and Agencies of Protected Areas of Georgia, Armenia and Azerbaijan to improving regional cooperation and development and harmonization of nature conservation sector. 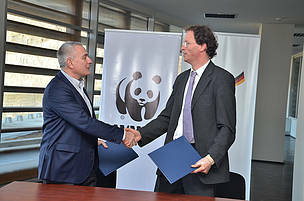 WWF-Caucasus Director G. Sanadiradze (left) and KfW Development Bank representative A. Weitzel during signing ceremony.